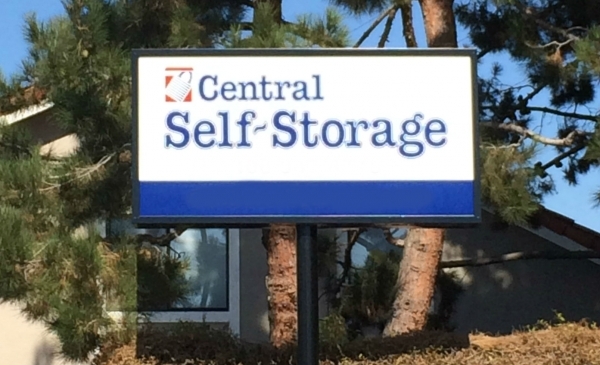 Central Self Storage on Lonus street is here to serve the ever-growing city of San Jose, CA. 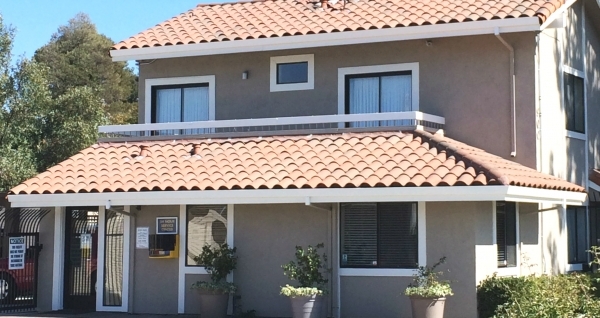 Located in the heart of Willow Glen our facility is conveniently located near the 101 Freeway. We feature 24-hour video surveillance with easy-to-maneuver driveways. We have an ideal variation of sizes and space for all of your self-storage needs. The staff was very helpful and offered unexpected assistance with our move. Highly recommended. Stephanie was really friendly and welcoming. Facility was clean and gated. Lock ups could need a little dusting but itâs a convenient location near to downtown WG with decent but not great gate hours. Staff have always been friendly and accommodating in my experience. Clean facility, not too shabby for price, only complaint is that renting the unit is not as advertised with 1st month being free, it is actually the second month which is given free. Other than that, so far so good. I really like the price and the location! Great customer service as well! Staff was very freindly, helpful and responsive! Excellent. The facility is very clean, and I felt very safe. The staff if courteous, helpful, quick to respond and answered all of my questions clearly and completely. I would definitely recommend this facility. The worker was too lazy to show different parts. Storage is ridulously priced. The manager was couteous and helpful. We used spare foot to find storage for or RV. So easy to use! We found reasonably priced s5orage for our RV and move in the next day. Needed to find a storage facility quickly. Booked on-line and when I went to move-in a couple of hours later they had my reservation and unit was ready. Unit clean and easily accessible. Manager was very helpful and friendly. Had a pleasant experience signing up, the unit was clean, you can purchase a lock there for $20. The woman was very friendly, unit is an affordable price. No complaints and highly recommend. Exactly what I needed. Great customer service. The lady at the front counter was very helpful, she first showed me the unit and I was offered several choices. Once I chose my unit all the paperwork was done and I move my stuff in right away. Access to my unit is convenient. Clean facility right near downtown. The only drawback I see is somewhat limited hours of operation. The Gm was amazingly nice! I'm very happy with my choice! Easy move in and very fast. Love the fact I got to choose my own entry code. The place is clean with good environment. This is a clean well operased and maintained property. Definitely happy with my choice to use them for my storage needs. Very clean and well-managed facility. Asst Manager was super helpful, thorough, and patient. Impressed with security and the range of unit sizes. All units are ground floor; some are drive up but the ones that are not are only a few steps in. Facility is slightly dated but well-maintained. This facility was clean, staffordable was friendly, she even offered me a bottle water while I was filling out paperwork. It was simple and pain free. I was serviced promptly,,paperwork took very little time and i parked my car in the RV spot, and everything went smooth as clock-work. I highly recommend this storage facility. Friendly. Clean. Great price. I recommend this facility! Thank you Yolanda. She was very friendly and I helped me with the process. The front desk employee was new so it wasn't the fastest service but she was very friendly and accommodating. She should have had somewhere there to help her. The facility is very clean and the price is affordable. Facility very nice and customer service was GREAT! It was very easy to make a reservation and get the size storage on the ground floor exterior unit I needed. I was extremely pleased with the service I was given I have already told a few friends about this facility. I feel confidant I will be renting again in the future. Very high tech, the customer service was awesome, clean units, could be a little cheaper for the part if town it's in but other than that awesome place. The best customer service you could hope for. Upon arriving at Central Storage, Lomus, we learned that the offer made on the internet wasn't available. The agent, Jewel?, searched until she found a unit that while larger, price-wise, matched the internet offer. She was polite, efficient and insisted on upholding the company's reputation. Above and beyond effort. Excellent customer service and great prices with security! I had to move a bunch of boxes out of an old spot and found this through AAA website. I filled out the form online to reserve a unit and was promptly contacted to fill out the paperwork, look at the available units, etc. at my earliest convenience. I'll reiterate the staff are pleasant, paperwork was easy, the site is very secure and moving my items in was easy! Wonderful, friendly staff and a great location! The staff is very friendly and accommodating , the units are clean, easily accessible and the location is very convenient. Good Cust service, still waiting on s billing questions otherwise I'll rate it above average . The security is very good and it is spotless, the pricing is lower than anywhere else. Great space for a great price! To start, the front office is very friendly and helpful. I was given a space that was clean and for the 5x10 a great price. I would recommend for sure. Access to unit wasn't what was expected. And width of access doors is much smaller than expected, so there are several items I won't be able to store there. In addition, my door has a hole in it that was poorly repaired. My trailer was stolen from their site after a week. None of their security cameras had a view of the license plate of the white pickup truck that came in and stole my trailer. Very dissatisfied. On the low end of what I would consider an overpriced storage market, Central Self Storage-Lonus has been a good experience so far. The staff (Tabitha) was fabulous, nice, efficient and very helpful. My sign-up process was really fast and while I don't plan on having the space for very long, I would rent there again in a second. The staff was extremely helpful in finding the unit that fit my needs and provided cold bottled water to myself and those helping me in the hot weather. Everything worked out perfectly and I was given the best deal out of every other option I researched. I found this place online after searching high & low for a good storage facility. This one has easy access to freeways & they are all on 1st floor. I love my unit. Its perfect for what I need it for. The downside....My unit however is very dusty & spider webs all around the corners. Its beginning of the month so the staff was very busy. I'd love to have the unit cleaned before my move in. A vacuum & wash of the floor is badly needed... But I ended up having to do a sweep & cleaning myself. My lights are still not fixed. Hopefully soon. Excellent experience, Tabatha is great! Great safe clean affordable love it !! Well worth it.